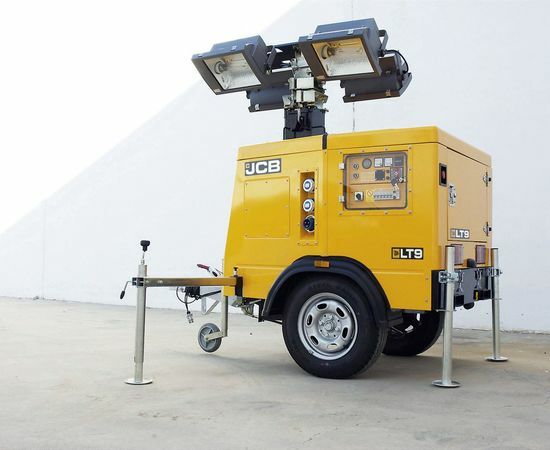 The JCB Lighting Tower is a compact, dedicated road towable lighting tower. 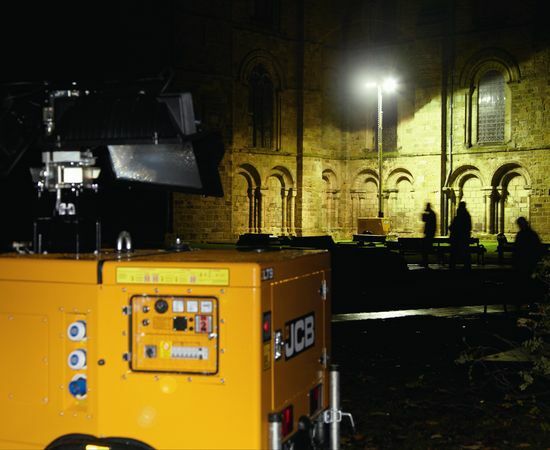 Featuring a 9m hydraulically activated mast which can rotate 360deg to ensure optimum light positioning, which supports 4 metal halide spotlights of 1000 watts and 90,000 lumens per spotlight or 6 x 240W LED lamps. The mast incorporates a safety feature that the mast cannot be raised unless the handbrake is on and if the handbrake is released the mast will automatically lower to the travel position. It has four stabilisers to ensure stability on all terrains. Control is with the KS1 control panel and the LT9 comes complete with outlet and inlet sockets giving the ability to power additional external equipment, or to power from other external sources of power as required. All making the LT9 perfect for rental fleets and individual users alike. 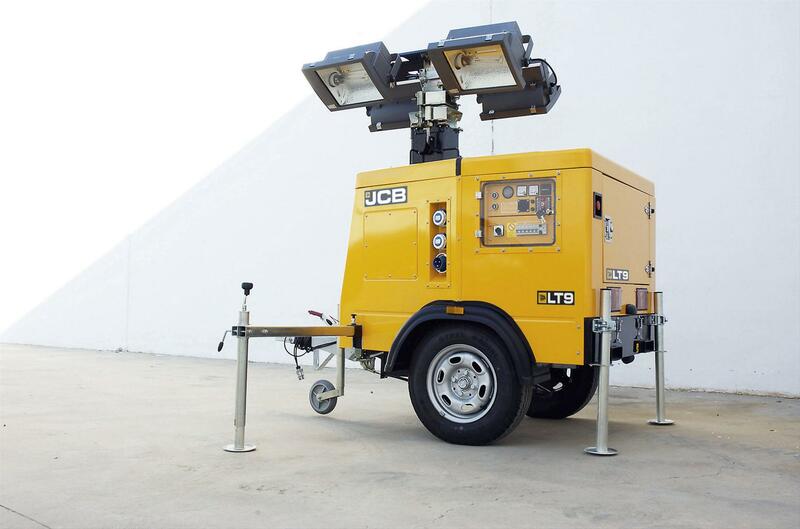 Telecoms: Telecoms units are available from 8kVA to 45kVA featuring Yanmar engines. All come complete with an integrated control system which allows the unit not only to be connected to a mains system whilst acting as standby, but also has the facility to operate with another unit on a timed sequence capability. 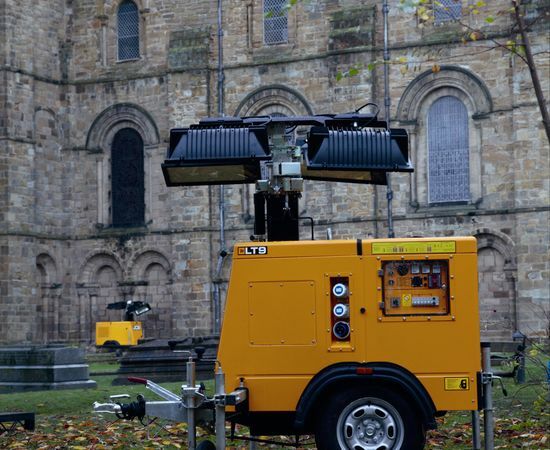 These generators feature sound attenuated canopies and a range of fuel tanks from 200 to 600 litres, allowing them to be operated in remote locations and can be left to run for days at a time. As telecommunication towers can be vulnerable to lightning strikes, the range also features a lightning surge suppressor. For further information please contact your local salesman or complete the sales enquiry form and one of our sales team will contact you back.